Simlipal Tiger Reserve was formally the hunting resort for the royalty. Nestled amidst green hills and dense woodlands, Simlipal Tiger Reserve in Orissa is the dream destination for wildlife lovers. 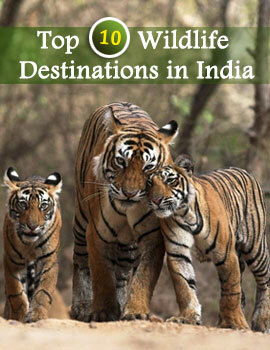 Located in the Mayurbhanj district of Orissa, Simlipal Tiger Reserve is a major tourist attraction for the tigers. Rich variety of flora and fauna and the beautiful avian population makes it the perfect wildlife retreat for the tourists. Covering an area of 2,750 sq. km, the Simlipal Tiger Reserve in Orissa is covered with Sal Trees and intersected by meandering rivers. The Tiger Reserve is the home to a number of animals like leopards, Sambhar, langurs, deer, gaur (Indian bison), elephants, antelopes, chitals, chevrotains, wild dog, wild boar, sloth bears, monkeys, hyenas and porcupines. Get a glimpse of the red jungle fowl, hill myna, peafowl, alexandrine parakeet, crested serpent eagle, gray hornbill, Indian pied hornbill, Malabar pied hornbill and Indian trogon. Besides this there is also an abundance of reptiles and snakes. Enjoy breathtakingly beautiful views of the wildlife sanctuary of Orissa from Barheipani or you can also visit the cascading waterfalls found at Joranda in Simlipal. Explore the beautiful forests of Simlipal Tiger Reserve, Orissa and refresh yourself in the absolute serenity of the forests and experience your oneness with nature. Simlipal Tiger Reserve in Orissa not only allures people for its fierce tigers but even its green and beautiful Sal forests, the warm and fun loving tribal people in the vicinity and offers you a unique retreat which brings you close to nature. 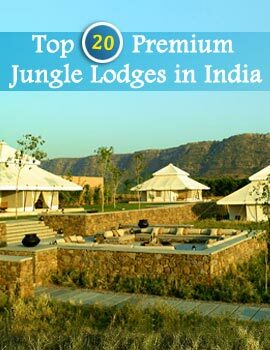 On your tour to Orissa take a trip to this wildlife sanctuary of Orissa and spend a few days amidst the greenery and serenity of nature. The Simlipal Tiger Reserve remains open from November to June.